In a pair of major rulings about the state's embattled death penalty, the Florida Supreme Court on Thursday cleared the way for about half of the state's Death Row inmates to seek new sentencing proceedings based on a seminal U.S. Supreme Court decision early this year. But while the Florida justices granted relief for approximately 55 percent of the state's 386 condemned inmates, a majority of the court also lifted a stay of execution in the case of James Asay --- a signal that deaths by lethal injections could soon be back on track after a year-long hiatus. 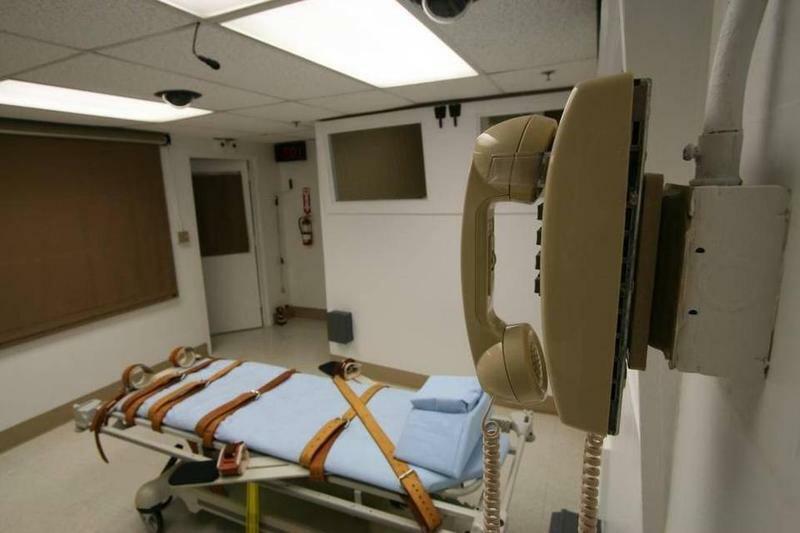 Thursday's highly anticipated opinions focused on the application of a January U.S. Supreme Court decision, in a case known as Hurst v. Florida, that struck down as unconstitutional the state's death penalty sentencing system. That ruling, premised on a 2002 case known as Ring v. Arizona, found that Florida's system of allowing judges, instead of juries, to find the facts necessary to impose the death penalty was an unconstitutional violation of the Sixth Amendment right to trial by jury. Florida lawmakers hurriedly rewrote the law this year after the Hurst ruling, requiring jurors to unanimously find that at least one aggravating factor exists before a defendant can be eligible for a death sentence and requiring at least 10 jurors to recommend death for the sentence to be imposed. But the Florida Supreme Court in October struck down part of the new law, finding that it was unconstitutional because it did not require unanimous jury recommendations for death sentences. 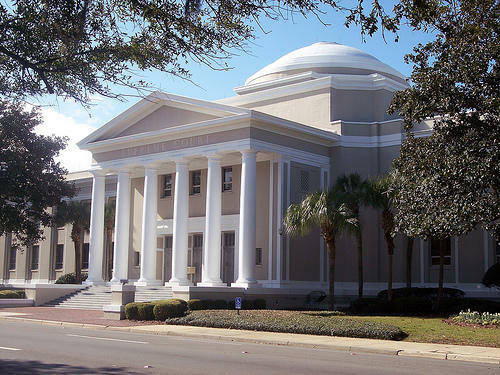 In one of Thursday's rulings, a majority of the Florida court decided that the Hurst ruling should apply to all cases that came after the Ring decision. It noted that 14 years separated those two U.S. Supreme Court decisions. "In this instance … the interests of finality must yield to fundamental fairness," the majority wrote in the case of John Mosley, convicted of murdering his girlfriend and their infant child in 2004. "Because Florida's capital sentencing statute has essentially been unconstitutional since Ring in 2002, fairness strongly favors applying Hurst, retroactively to that time." The Mosley decision also makes clear that, because the court will analyze each case individually, not all capital defendants who are eligible under Hurst will ultimately receive the opportunity for a new sentence. Defendants who waived their right to a jury trial would also not be eligible for new sentencing hearings. Retroactive application of the Hurst ruling is critical "to prevent a violation of the fundamental and critically important right to a trial by jury," the majority wrote in Thursday's 83-page Mosley opinion. But Justice Charles Canady, in a dissent joined by Justice Ricky Polston, warned about the effects on the court system of allowing new sentencing hearings in death-penalty cases going back to the Ring ruling in 2002. "The difficulties involved in conducting new penalty phase proceedings for such a large number of cases involving murders committed over such an extended period of time truly beggars description," Canady wrote. "The impact on the system of justice --- courts, prosecutors, and public defenders --- will be enormous." In Asay's case, the court ruled that Hurst should not apply retroactively to cases finalized before the Ring decision because, in part, of the impact on the administration of justice. "Penalty phase resentencing is a time-intensive proceeding that requires significant preparation and discovery, death-qualifying a jury, and generally, a multi-day trial," the majority wrote. "While some of the prior witnesses' statements could be admitted based on the transcripts from the prior sentencing, the jury's ability to weigh the strength of those witnesses would clearly be impacted. Finally there is an important consideration regarding the impact a new sentencing proceeding would have on the victims' families and their need for finality." All but two of the justices --- Canady and Peggy Quince --- authored separate opinions in the Asay case. Justices Barbara Pariente and James E.C. Perry concurred in part but offered dissenting opinions in which they said that all of the state's Death Row inmates --- including those in cases before Ring --- should be eligible for resentencing. Justice R. Fred Lewis concurred in the result but wrote that the Hurst ruling should be extended retroactively to all capital defendants who raised the issue of unanimity, even before Ring was decided. In her dissenting opinion, Pariente objected that "the requirement of jury unanimity in the ultimate decision as to whether a defendant is sentenced to death is of such fundamental significance that fairness requires" retroactive application. "The majority's conclusion results in an unintended arbitrariness as to who receives relief depending on when the defendant was sentenced or, in some cases, resentenced," she wrote. "To avoid such arbitrariness and to ensure uniformity and fundamental fairness in Florida's capital sentencing, our opinion in Hurst should be applied retroactively to all death sentences." "The line drawn by the majority is arbitrary and cannot withstand scrutiny under the Eighth Amendment because it creates an arbitrary application of law to two groups of similarly situated persons," Perry, who is forced to retire at the end of this year, wrote. "Coupled with Florida's troubled history in applying the death penalty in a discriminatory manner, I believe that such an application is unconstitutional." Attorney Martin McClain, who took over Asay's case in January after Gov. Rick Scott signed a death warrant ordering Asay's execution, said the court's opinion in his client's case leaves unanswered questions. Thursday's ruling came 10 months after the court heard arguments in the Asay's case. "Obviously, the issue is complex, as is reflected in the opinions," McClain told The News Service of Florida. "All that's really established today is that post-Ring people have a better argument for relief than pre-Ring people." Scott spokeswoman Jackie Schutz said the governor's office is "reviewing the ruling." But, according to McClain, Scott cannot reschedule an execution date for the convicted killer because the court's ruling Thursday left open the possibility of a request for a rehearing. Thursday's decisions evoked mixed reactions from defense lawyers, with many of them echoing Perry's concerns. "Certainly, a fair number of my clients will be entitled to relief. However, the court's opinions do really raise an arbitrary concern that similarly situated defendants are being treated differently under the law. That's unfair and a violation of the Eighth Amendment," lawyer Maria DeLiberato said. Karen Gottlieb, co-director of the Florida Center for Capital Representation at Florida International University's College of Law, predicted that the decisions regarding retroactivity will spur more litigation. "The defendants whose cases were final prior to Ring, their sentencing proceedings were no less unconstitutional than those sentencing proceedings that were not final at the time of Ring and those that came after Ring," Gottlieb said. "The bottom line is we are talking about unconstitutional sentencing proceedings, no less unconstitutional prior to Ring than post-Ring. They were always unconstitutional." Some of the nearly 400 prisoners waiting on Florida’s Death Row will not be allowed a re-sentencing under new death penalty laws, the state Supreme Court ruled Thursday. The 6-1 ruling in a death sentence appeal by Mark James Asay says that Death Row inmates are not entitled to a re-sentencing unless their case was finalized after the 2002 ruling in Ring vs. Arizona, which required juries to find aggravating factors to impose the death penalty. In 2016, 30 people were sentenced to death in America, and 20 people were executed. 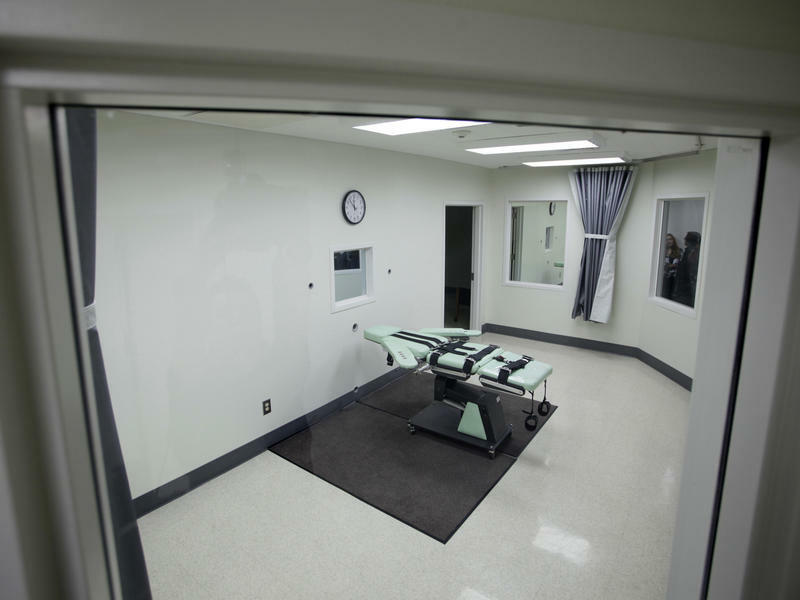 Those numbers are the lowest in decades, according to a report by the Death Penalty Information Center, which collects data on capital punishment in the United States, and advocates against the death penalty. The 2016 numbers fit with a multi-decade trend. Death sentences and executions have been declining steadily since the mid-1990s. The Florida Supreme Court on Thursday unanimously rejected an appeal by a Death Row inmate sentenced to death for shooting and robbing a man lured from a gay bar.